A first date can be extremely awkward. Both of you are nervous and trying to make a good first impression. Maybe you're not the most confident person either, which makes keeping the conversation flowing a bit more difficult. When people become nervous and unsure of themselves, they tend to clam up, believing that it's better to say nothing at all, than it is to say something and look stupid. However, clamming up doesn't work either. Sure, you might not look stupid, but you'll still look boring. The man or woman sitting across from you will think there is no chemistry between you, and the second date will be a distant fantasy. Wouldn't you like to avoid this eventuality and know how to keep a first date conversation flowing? You don't have to get your date drunk in order to loosen their tongues a bit. You shouldn't get drunk either. Nothing is worse than getting punch drunk, saying something stupid or looking like a complete moron on the first date. But you can enjoy a glass of wine together, and use the alcohol to relax. Add to this, a nice quiet, unthreatening atmosphere, such as a romantic restaurant and some candlelight, and you've got a recipe for success. If you want to keep a first date conversation flowing, keep some wine flowing as well! The best way to keep a conversation flowing is to ask questions. Ask your date what he or she does for a living, what their interests and hobbies are or what they like to do to relax. You'll get to know more about them, maybe get an idea for a second date and the conversation will flow naturally. You also need to look interested when your date answers your questions. 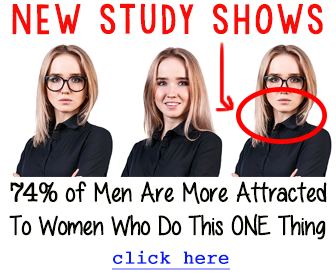 Don't yawn, stretch, break eye contact to look at another guy or woman and never wear a bland expression. When they answer your questions, follow up with another one or add a tidbit of your own. Your questions will surely lead to them questioning you too, so be ready for that. Choose topics that you feel comfortable answering. By asking questions first, you can control the path of the conversation somewhat, so use this to your advantage. There you have it. Keeping the conversation flowing on a first date is as easy as that. When you're out on your next date, be sure to keep these two handy dating tips foremost in your mind, and you're sure to be successful when conversing. Don't let another date dwindle into the realm of awkward silences and rejection.